When pondering the topic of soundtracks, the first images that come into one’s mind are often that of favorite films. There is little questioning that a soundtrack can make or break a title, and that such musical backdrop also forms the emotional foundation for the scenes therein. I wished to talk a little about a fascinating soundtrack from La La Land Records, whilst making a small departure from the norm and venturing on the path least taken. In the past fifteen years, a growing new trend had emerged and taken hold within the gaming industry. Video game’s soundtracks made the move away from the age-old synth machines and electronic generated compilations. Instead, producers have been favoring full orchestral compositions by both reputable and relatively new composers and writers. In other words, they were, and continue to, use real music. Not just this, but original music that had been formed upon sizable budgets. The list of composers includes big names like Christopher Lennertz, Hans Zimmer, Ramin Djawadi, Lorne Balfe, Inon Zur, David McGarry, Adam Klemens, and Michael Giacchino, to name a few. The orchestras carry equal pedigrees, including such prestigious and familiar titles as the Warsaw Philharmonic Orchestra, Trinity Choir, Bulgarian Symphony Orchestra, and last but not least, The Prague FILMharmonic Orchestra. The question one may ask themselves is: where did it all begin? The lesser-known origins of today’s in-game music scores have taken us back to an early effort that changed the rules, and perceptions, of gaming soundtracks. It also came to firmly extend the expectations that orchestral pieces should remain the prime musical feature of games of this type. During 1998, while filming Saving Private Ryan, DreamWorks Interactive’s co-founder Steven Spielberg came to devise a fresh concept for a new game. The player was to embark upon the great crusades of WWII as the fictional soldier, Lt. Jimmy Patterson, who had been recruited by the Office of Strategic Services. Eventually, the character would carry out critical missions and partake in the fight along the front lines of the European War Theater. The idea was very exciting, indeed. With the story written by Peter Hirschmann based on Spielberg’s original concept, development commenced during that same year on Medal of Honor. The design and production team would come engage in exhaustive research to form a historically accurate recreation of events during the WWII, while making it interesting enough to appeal to people of younger ages. To keep the concept accurate, Vietnam & Hollywood veteran Dale Dye, retiree of the USMC, was consulted to assist in their efforts. Dye had also advised the tactical aspect for the filming of Band of Brothers, Platoon, Saving Private Ryan, Casualties of War, and Under Siege, amongst others. In later titles, the Medal of Honor team would travel to Europe to collect images of the landscape, objects and structures to produce near photo-accurate environment models. This was not typical of the industry at that time. In part, this game concept also differed from others not only due to the care placed on the emotional aspect of the nature of the game and the depth & effort being poured into the quality of the visual and intuitive behavioral aspects for the title, but also the sound. Actual recordings for voice acting, firearms, explosions, and environmental aspects were each embodied within the collective scope of the project’s sound design. Of course, the most compelling feature was the departure from a traditional video game-stylized soundtrack. 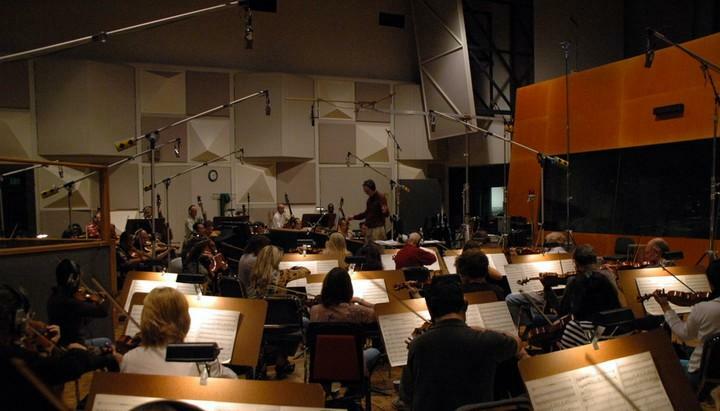 The concept of using orchestral compositions in a video game was not completely new, but the scale on which Spielberg intended that it be done was quite revolutionary. The development team sought out the relatively new and young composer, Michael G. Giacchino, to write and conduct the game’s score with a full scale orchestra at Spielberg’s insistence. 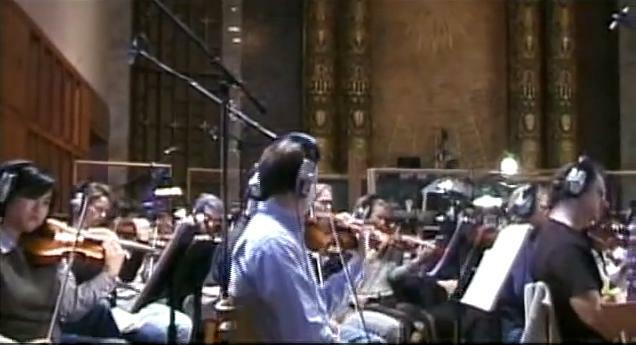 Previously, Michael had been involved in the first orchestral score to come to a game on the Playstation and Sega Genesis consoles; The Lost World: Jurassic Park. The recordings for Medal of Honor were to be larger, and would come to take a five month period to complete with sixty-five members of the Northwest Sinfonia. Together, they would not only deliver a listenable soundtrack that added to the game experience, but also one that by many accounts remains amongst the most polarizing and imaginative soundtracks of all time. Recorded in a Seattle cathedral, the original score was captured in the absence of electronic generated instruments, or effects. Apart from the required production techniques for dynamic compliance and mixing, the music was fundamentally, acoustic and sounds as one would have heard it, had they been present at the time that the performances were in session. The echo, reverberation, and all audible instruments were recorded within the venue, rather than imparted upon the recordings by a digital field generator. If an error was made, it would require performing the piece from the beginning, again. As fortune would have it, the music would leave its mark. When Medal of Honor was released to the public on Remembrance Day, November 11, 1999, reviewers made note of the game’s music score. You see, there was little denying that it added a special element to the game play in setting the tone for the period setting. This connection with the player and listener was unique, and there was little denying the painstaking efforts that had gone into the score to achieve such. When an official soundtrack was later published by DreamWorks Records, it was also recipient of positive talk from industry professionals and amongst the things they wrote, it noted how the production narrowed the chasm between game soundtracks and film music which had always been clearly defined in the past. It would appear that others had also been paying attention: Peter Hirschmann noted, “Upon its completion, the project was endorsed by the Congressional Medal of Honor Society. If any single element of the game even approaches the worthiness of such praise, it’s Michael’s music”. And, the music really was that good. The album made a grand entrance with the Medal of Honor theme, and within these first overtures the listener knew this was to be a real treat. Michael proved a fantastic interpreter of his uncles stories and directed a detailed performance wherein the collective and individual playing of his orchestra could hardly be bettered. Such a guiding memorandum for which he prepared earlier whilst writing these works had inevitably proved to form a large constituent of that final sound. The tone for this album was deep and oriented towards large scale and powerful presentations, and little time was wasted in symphonic meditation on hopelessness. Instead, the sound was grand, heroic and down to business. Possibly Michael’s best known and most searched track on YouTube, Merker’s Salt Mine, transcended the menacing and resinous bowings of the cellos, to several crescendos built on virtuosic contrasts. A true departure from the occasional shrill, or drier sounding classical and chamber orchestral recordings heard elsewhere, Medal of Honor was a window-rattling performance. Above: The Northwest Sinfonia performing Medal of Honor in the studio. Blasting horns, sharp anvil strikes, and the famous axis theme combined in an immediate sense of menace. As the tracks progressed, they transported the listener deeper into German-occupied Europe. The cellos had taken front stage with support from the horns and cymbal crashes, and the quality of the capture was very high. Among the greatest points was the sense of space and the clarity of the sustained reverberation of the large venue. For as long as I have been a music lover (I tend to have been more focused on the enjoyment brought by music than gear) I have really enjoyed the cello. Sadly, I had found it challenging to find good quality recordings that reflect the full expression of harmonics and woody undertones that make the cello what it was – a very emotional and provoking sound. This was a shame, because the cello remains timeless and deserves far better. This was another area where the capture techniques of Medal of Honor really excelled. 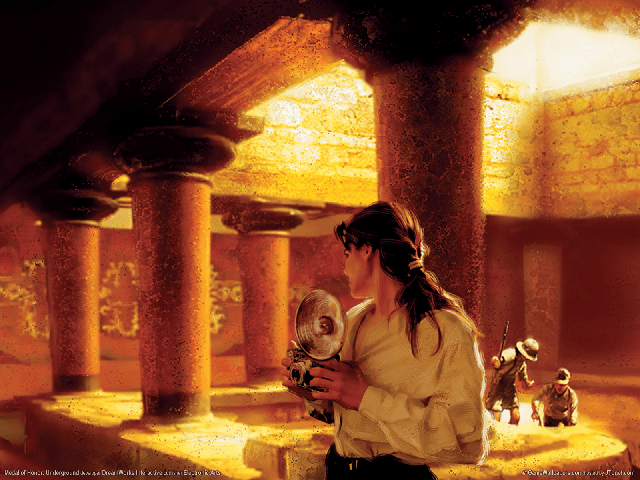 Michael Giacchino had also made rich use of horns, the anvil, chimes and bells in his historically-informed style. As a listener, I did not feel like the cello was hidden behind a heavy cloth, nor in a different room. While there were times that I craved a bit more dynamic range, all the bass, the treble, and the all important mid-range was there in good proportion. When I was certain the disc has reached its end, I was surprised to find that there was more. This part will come as good news for those who enjoyed the original soundtrack of 1999, as the bonus tracks are included. However, they are not indexed, nor overtly advertised on the track listings. While they may not hold any value to the average orchestrated aficionado, they were part of the original. Thus, they should be there, and the people at La La Land Records held true to the originals there. Above: The Original MOH Underground Soundtrack Cover Art. Soon after the original Medal of Honor had filled the hearts of those who partook in playing it, development began on a second title: Medal of Honor Underground. Actually serving as a prequel, this next game placed the player in the shoes – that was correct, shoes – of Manon Batiste, a female member of the French Resistance who briefly appeared in the first Medal of Honor as a helper. Recently recruited by the Office of Strategic Services, Manon’s character was based on the real-flesh OSS operative Helene Deschamps Adams. She was tasked with the role of disguising herself as a photographer and espionage in much lesser seen parts of the war, but her missions were critical, no less. Above: Manon, posing as a photographer in Crete. Evoking understated beginnings, Medal of Honor Underground’s main theme track concluded with a stoic resignation that is bound to grasp the listener’s attention. Reinforced by the sonorous lower register and with sparing use of accordion, he conjured some beguilingly sweet tones during the early tracks of the score. The first few compositions had been produced with the largest bulk of the orchestra oriented to the left-most side of the listener, with instruments such as the horn and accordion taking center position. While not as in-your-face, Underground was a grand demonstration that having gained experience and becoming part of the team, Michael had come to develop and mature greatly as a writer and composer, and could convey a host of powerful ideas while being subtle. He created familiarity for the listeners by inserting moments of the old theme, whilst infusing the repertoire with theatrical glamor, anew. A welcome aspect was added to the score for Underground in the form of wordless recitatives, and what it infused upon the performance was exceptional. Michael’s insistence that voice would add to the desired atmosphere, led to the Seattle Boy Choir being called upon for such duty. Again, people were listening. For his efforts, Giacchino became the recipient of a nomination from the Academy of interactive Arts and Sciences for Best Musical Score. Above: MOH Underground score in session. There was little time wasted before getting to work on the next two additions to the game series; Medal of Honor Allied Assault, and Medal of Honor Frontline. In the case of Allied Assault, the player entered the role of Lt. Mike Powell, a fictional US Army Ranger. The score for Allied Assault borrowed from the previous titles, as the story followed a similar compilation of paths. The missions were moreover based on them, as well. 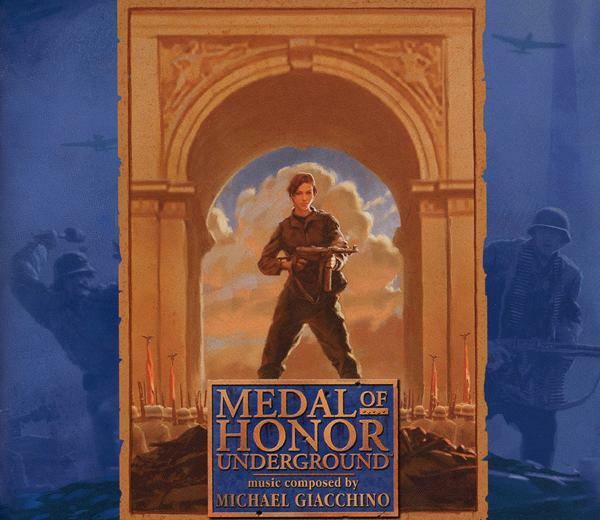 Even so, Giacchino wrote five new pieces specially for this title, whilst also writing music for Medal of Honor Frontline, which was released four months apart. For Frontline, the character of Lt. Jimmy Patterson was reprised from the first installment to serve in the D-Day landing in Normandy, partake in Operation Market Garden & the destruction of Nijmegan bridge, infiltrate a German U-boat, a train, and hijack a prototype jet aircraft. Giacchino had made his mark in the series Alias’ musical score, and once again insisted on the use of a choir. The difference this time was that it was an adult choir. The producers believed strongly in the use of live music, and provided what was needed. With each new title, the budget increased, and this new score clearly reflected such. The performance was more Hollywood, and the Seattle cathedral resonated with the sound of large drums, horns and the explosive dynamics. While Giacchino was requested to produce 56-minutes of music, he actually came to write a full 74-minutes for Frontline, and with a new goal. “I wanted to emphasize the drama, not heroism. There was bravado originally, now he is wiser” said Giacchino. Should you be completely foreign to the Medal of Honor franchise, one would therefore insist that you first listen to Frontline, the third included disc. The reason is because Giacchino had chosen a more serious tone that time around, and as a result the sound was very polished, theatrical, and offered just the right mixture of varied tempo. While counter intuitive as it may seem, Frontline accumulated the various themes that were to be found in the previous two editions. The new level rich orchestration was most inciting, and would likely to appeal to modern ears, more than the sparser original. This could set a stage for the listener that allows them to go back and understand what the fuss was really all about. Finding new ground after the initial installments, Frontline brought new elements of surprise and was very special. Where the first two titles featured tracks that were distinct and separate from one another, Frontline’s soundtrack was formed more like the story itself. It was broken down into chapters and several of them fit together as a continuation of one longer musical piece. The listener would find that some tracks move to the next without any indication that one has ended, and the next had begun. As tracks progressed, Michael had expertly constructed an acoustic image of the severity of the situations by bringing a consistently large scale presence with it. The soundtrack was a brave departure, and the Northwest Sinfonia assumed the center stage, unwilling to take any prisoners. Above: Anti-aircraft guns watch for Allied aircraft. Michael G. Giacchino maintained a magisterial grasp on the architectural span of the war-laden scores, and his inclusion in Frontline of the choir and solo vocals was both beautiful and powerful from beginning to finish. Track five, for instance reminded myself of the unfolding of a Shakespearean tragedy upon a great precipice. Tracks twelve, thirteen, and fourteen were actually one long track making a climatic progression. These three tracks were among my favorites, and they formed a continuum from a daunting start to the several spectacular scenes around a train taking place at that stage of the storyline. The writing of the piece was very much the embodiment of musical genius, and as they worked up to the exciting action scene, I found myself smiling at the fantastically portrayed performance. Even through slower tracks, the pictures were painted through more finely nuanced expressions. It really was that good. In a word, Brilliant. Above: Frontline’s Main Theme in session within the Seattle cathedral. Medal of Honor Rising Sun was the next project for the Medal of Honor team. This time, the story would begin with the player on a sinking battle ship during the attack on Pearl Harbour, and take the player into the heart of Asia. There was a new composer on board for this title by the name of Christopher Lennertz. Having recently received critical acclaim for his work in the film industry, he was referred to Medal of Honor’s sound director Erik Kraber, by a good friend Julia Michels, of whom Lennertz had also worked with at Basil Poledouris’ studio some years earlier. He would write several brand new themes for Rising Sun, while happily integrating those of Michael Giacchino. This helped to create continuity within the now-familiar series. However, this time, the score was recorded with the famed Hollywood Studio Symphony in Los Angeles, using hand-picked players of whom specialized in the Eastern instruments that would fit the game’s theme and time setting. Six months after the release of Rising Sun, Medal of Honor Pacific Assault thundered onto the scene as a different PC version of the title. Pacific Assault was to be told by a young soldier’s letters back home. For this matter, several special tracks were written to suit the storyline. Being an individual game, it would still share the oriental backdrop, and where the score was recorded near the same time, and as a result much of the music was essentially the same. Of course, there were some exclusive tracks written for the title that expressed that Lennertz compositions were evolving. “We had Karen Han playing the Erhu, Chris Bleth playing all the shakuachis and membrane flutes…I also put together a fantastic Taiko ensemble with MB Gordy, Alan Estes, Steve Schaffer, and Brian Kilgore. They pounded the day lights out of these drums and really shook the studio…it felt like Pearl Harbour!” -Christopher Lennertz. Getting back to what had made Medal of Honor a success, the next iteration in the franchise had the player returning to face off against the German axis forces in Europe, the Soviet Union, and Northern Africa. Lennertz was called back to produce a musical score for Medal of Honor European Assault. Time was of the essence, as the score had to be completed within a brief three month period in order for the title to meet its deadline. Sometimes, people perform their best when they are placed under pressure. Lennertz set out to write the music with pencil and paper for the first time in years. The final score was recorded at Air Lyndhurst Studios in London, featuring the spectacular 84-piece Philharmonia Orchestra, supplemented by a large choir led by Allan Wilson. The final addition to the Medal of Honor lineup to be published for the Sony Playstation II and original Microsoft Xbox, was Medal of Honor Vangaurd. Vangaurd offered a good player experience, but sadly, no new music. Tracks spanning each of the previous games were selected for the title. It was time for a change for everyone. Next-generation gaming consoles, Sony’s Playstation 3 and the Microsoft Xbox 360, had reached the market. Medal of Honor was to receive a worthy update to take advantage of the new hardware and offer something totally new and far less linear. The player was put into the position of a paratrooper belonging to the 82nd Airborne division, and in this way, the game was about making choices. Choosing their approximate landing area and devising that which would give them the best tactical advantage was a new aspect never-before seen on a console. Other things were to change, too. Michael Giacchino was now one of Hollywood’s premier composers, having been nominated for two Grammy Awards, winning an Emmy Award for his contribution to the series Lost, and having also composed the score for Mission Impossible III. Michael had come to know many people who had worked on the earlier Medal of Honor projects, and was requested to write and compose a totally new score for Airborne. The music would have to be unique and give a fresh new sound that would work with the plot. It was quality over quantity once again, and the score would take a full four months to finish. 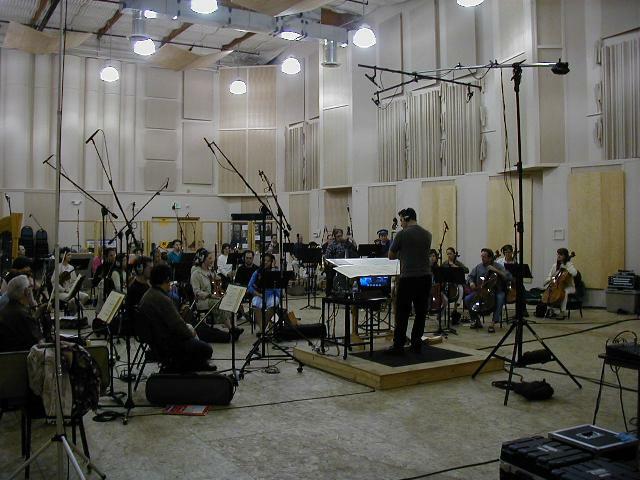 The capture venue was the Eastwood Scoring Stage at Warner Brothers Studios, featuring an 82-piece orchestra. The last entry for Medal of Honor was a game named just that – Medal of Honor. It would also be the first of the long series to move away from the 1940’s era, and bring the player into more modern times. Ramin Djawadi, a young composer in his thirties, was brought on board to compose the twenty-nine tracks for this title that reflected the new locale of the title. Set in Afghanistan, it was decided the the previous methods and themes would not fit the new game play. It took over one and a half years to write the music at his studio, Remote Control Productions, in California. 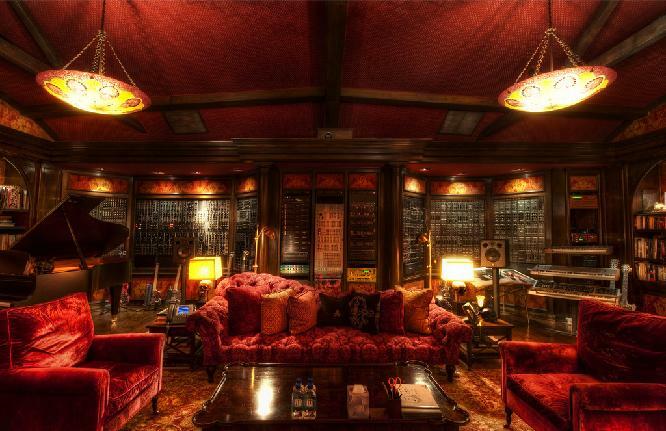 Above: One of the suites at Remote Control Productions. As with Lennertz, Djawadi did his research and chose instruments that fit the region and those which would integrate best into the scenes. Using recognizable middle eastern tools for these music, his compositions offered an ambient kinesthesia, also reflecting a partnership with the others before him while infusing his own inventive formal mastery. 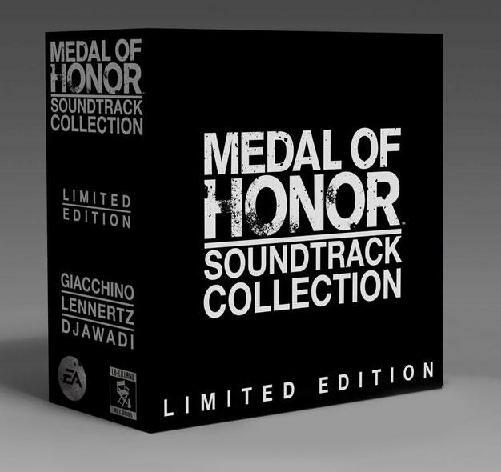 The Medal of Honor Limited Edition Soundtrack Collection was far more than just enjoyable – It was exceptional, and completely different. Christopher Lennertz and Ramin Djawadi’s writing was clearly that of what one would expect from true professionals. And of course, it was difficult not to be won over by Michael Giacchino’s earlier works for the total commitment of his vibrant account. It remains a curious thing that while I genuinely enjoyed each and every one of them, the first three discs were perhaps my favorites, for these compositions, the recordings, and the mastering were all excellent. There just seems to be a level of clarity from top to bottom and a perception of size that the first three share and readily demonstrate. It was a wonderful thing that La La Land Records had been granted access to the EA vaults to produce a compressive collection of high quality music. Years ago, I was amongst those who had tried to procure a copy of the early edition soundtracks, but they were quickly sold out of print by the time many of us learned of their existence. One could not be more appreciative of the hard work done by all of whom were involved to bring them back to life. This new box set came with a hardcover box to hold both compact disc cases, each containing four discs for a total of eight. Each track had been remastered by James Nelson using the original recordings and analog tapes, and having previously heard the originals, it would be my opinion that they benefited from his expertise in this area. This comes in an age where remasters often leave a good deal to be desired, but not so here. In contrasting effect, James’ work on these masters appeared to have bountifully filled in the weight of the sound without imparting any detectable sonic drawbacks. Two included pamphlets guided the listener through the scores, and the full color booklet written by photojournalist Dan Goldwasser provided a great level of detail on how the titles came to be. I am really glad that I had extended this box set collection a thorough listen. Sometimes, we music lovers may be quick to dismiss a concept, approach, or even music based on honest misconceptions. I do not know if one album can please every classical listener, and perhaps the Medal of Honor OST is not such a thing. However, if one loves dramatic large scale productions, it comes pretty close and I completely recommend it. Not only is the Medal of Honor Limited Edition Soundtrack worthy of consideration, it truly requires a good listen on an equally good playback system that can resolve all that it brings forth. I hope that in some small way of my own, I have been able to share what is in my opinion a very good musical production, and that someone else may give it a good and fair listen, and then come to enjoy it as much as I and others have.